Recent exciting finds (autumn 2006) discovered adjacent to Junction 8 of the M1 will add considerably to the known record, but it will be sometime before the full report is published, and I shall not radically overhall the archaeology pages until all the details are in and the SMR updated. There is considerable recorded archaeology within 2Km of the Village Centre. 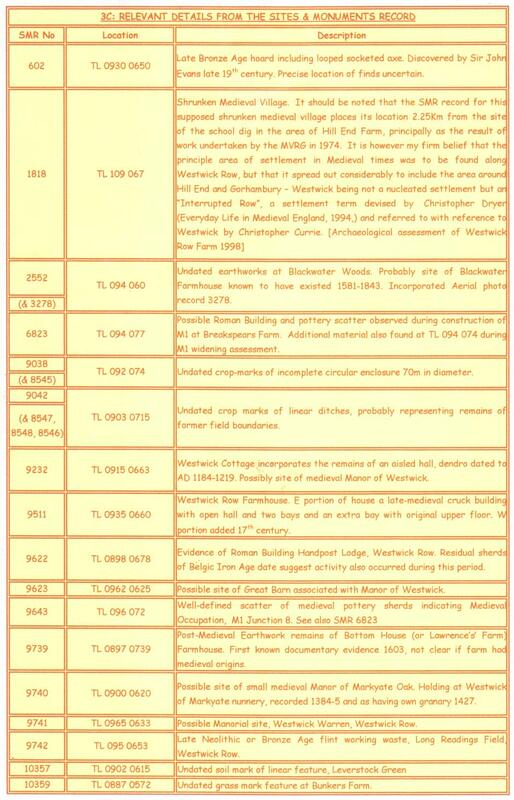 In addition Roman Verulamium (St. Albans) is situated about 4.5 Km from away, and there are a number of “high status” Roman villas known within its hinterland, including Gorhambury, Boxmoor and Gadebridge; furthermore recent excavations along Westwick Row (SMR 9622) also suggest a high status Roman building or villa within 0.4Km of the dig site. The table below gives a brief breakdown of the known archaeological sites within the immediate vicinity of the dig site and as shown by Figure 11. (Aerial photos now incorporated shown in brackets.) It should also be noted that Dell Cottage, Westwick Row was afforded Grade II Listed Building status in July 2002, and that the Inspector to the recent Public Inquiry recommended that DBC should “append an extra requirement to address the need for the existing buildings at Westwick Row to be surveyed and those of either architectural or historical merit to be retained.” It is believed he was referring here not just to Dell Cottage but also to the buildings at Westwick Farm . 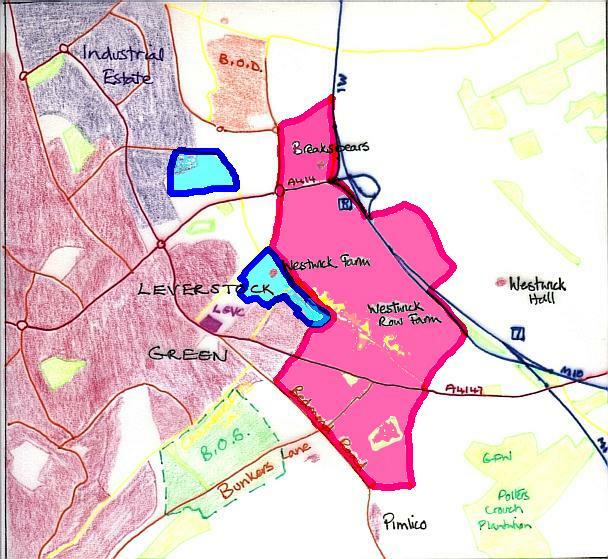 ABOVE: Map showing DBC (blue) and St. Albans (Cerise) Areas of Archaeological Significance around Leverstock Green. Archaeology Exhibition October 2007 (includes finds from Junction 8 M1). 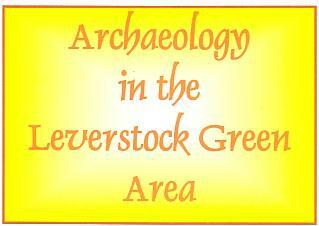 Map Showing DBC Area of Archaeological Significance 61, Leverstock Green. 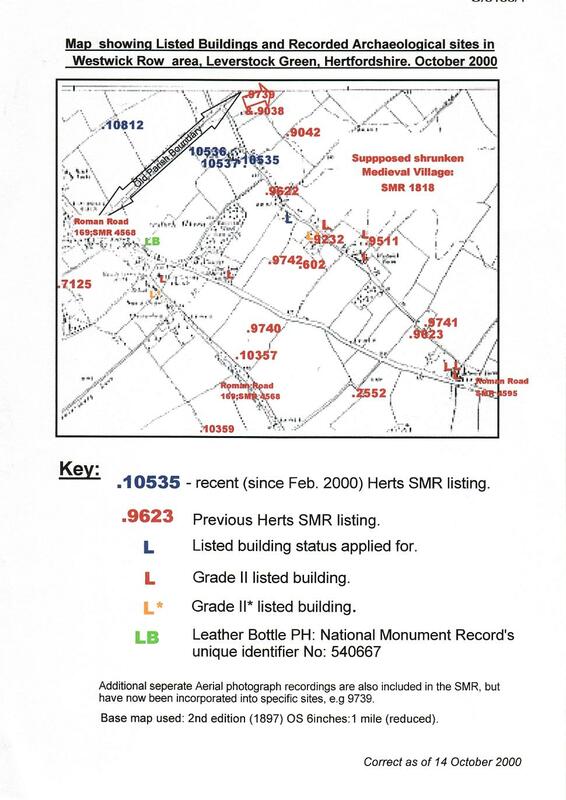 Table showing Sites & Monumnet Record for the immediate Leverstcok Green area as of August 2003. 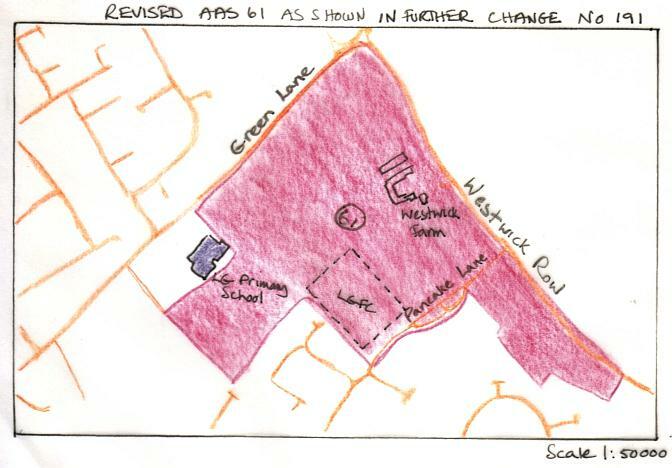 Map Showing DBC (blue) and St. Albans (Cerise) Areas of Archaeological significance around Leverstock Green. Many new details will be added to the SMR in the near future as considerable information covering a wide historical period from Iron Age through to medieval has been discovered as a result of a dig at J8 of the M1, prior to motorway widening. For brief details click here.